A MAJOR MOTION PICTURE STARRING BELLA THORNE! A heartbreaking tale of love, loss and one nearly perfect summer - perfect for fans of The Fault In Our Stars and Love, Simon. Seventeen-year-old Katie Price has a rare disease that makes exposure to even the smallest amount of sunlight deadly. Confined to her house during the day, her company is limited to her widowed father and her best (okay, only) friend. It isn't until after nightfall that Katie's world opens up, when she takes her guitar to the local train station and plays for the people coming and going. Charlie Reed is a former all-star athlete at a crossroads in his life - and the boy Katie has secretly admired from afar for years. When he happens upon her playing guitar one night, fate intervenes and the two embark on a star-crossed romance. 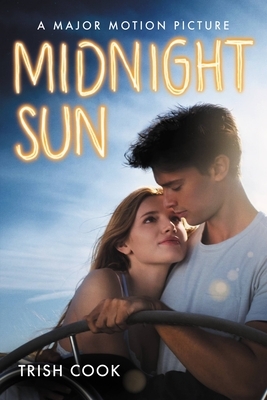 As they challenge each other to chase their dreams and fall for each other under the summer night sky, Katie and Charlie form a bond strong enough to change them - and everyone around them - forever. Trish Cook is the author of six young adult novels, including Outward Blonde, Notes from the Blender and A Really Awesome Mess. In her spare time, she's a runner, rower and wannabe guitarist. She dreams of being on The Amazing Race, but the closest she ever came was getting to the final round of casting for I Survived a Japanese Game Show (and unfortunately did not survive that last casting cut). You can visit Trish at www.trishcook.com.